This is fascinating Doug, we live nearby and had no idea about the old school being there. Across the street from it on the SE corner of 23rd/Wygant there used to be an odd looking wooden house. It looked like it might have been a storefront at one time. It was torn down a couple of years ago to make way for the new construction going up now. Do you have any clues about the history of the house on that lot? Hi Amy. 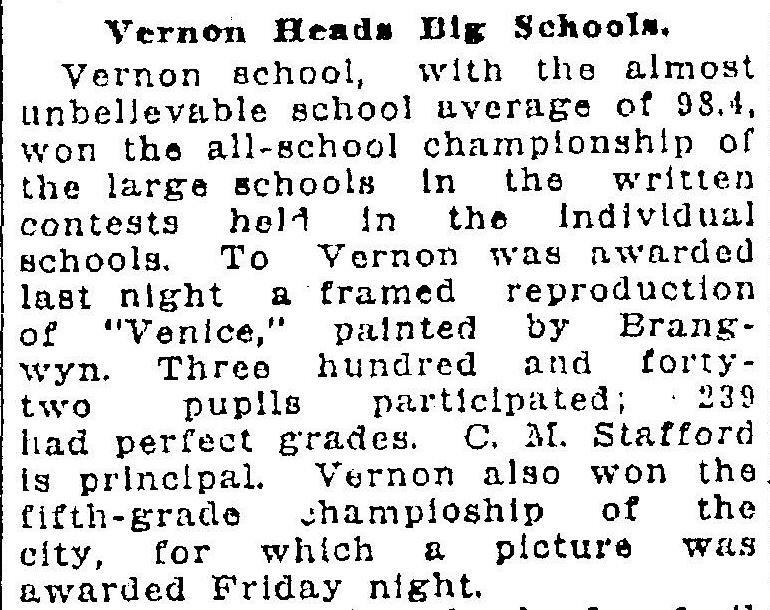 Glad you enjoyed the Old Vernon story. Who knew? 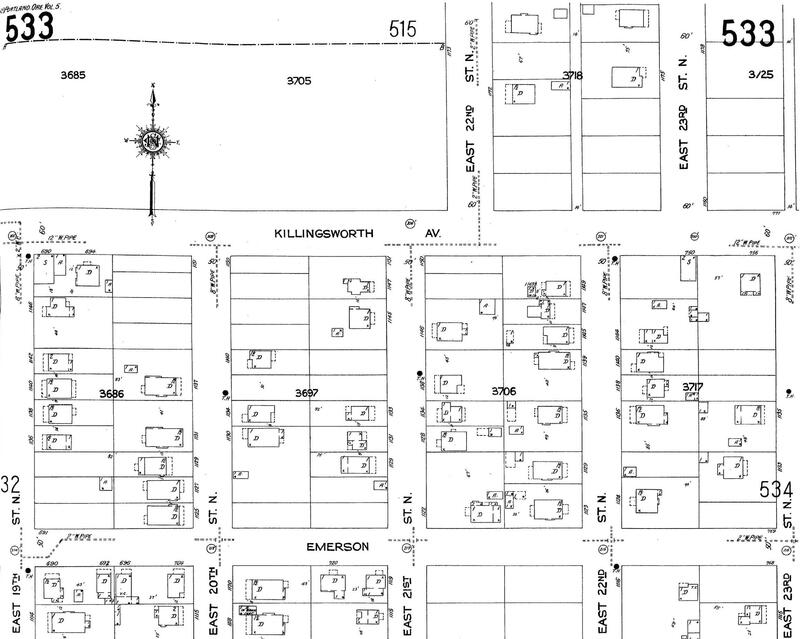 The more I learned, the more fascinated I became, all the more so because it’s a set of stories about the neighborhood that have been completely lost to time. I’ve been told that this old little building was originally a stable, which is very possible. 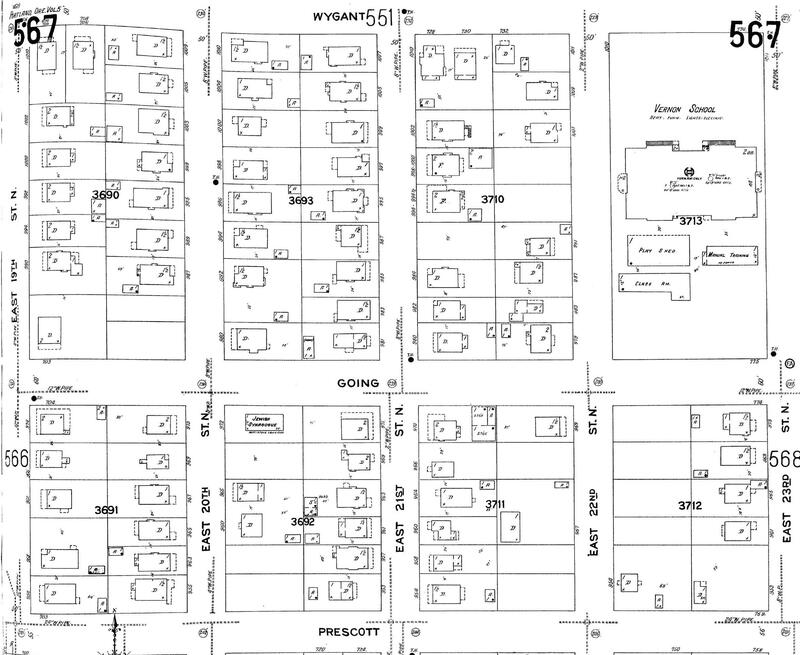 Here’s what it looked like before it was demolished to make room for two attached units (don’t get me started). I am thoroughly enjoying your articles. 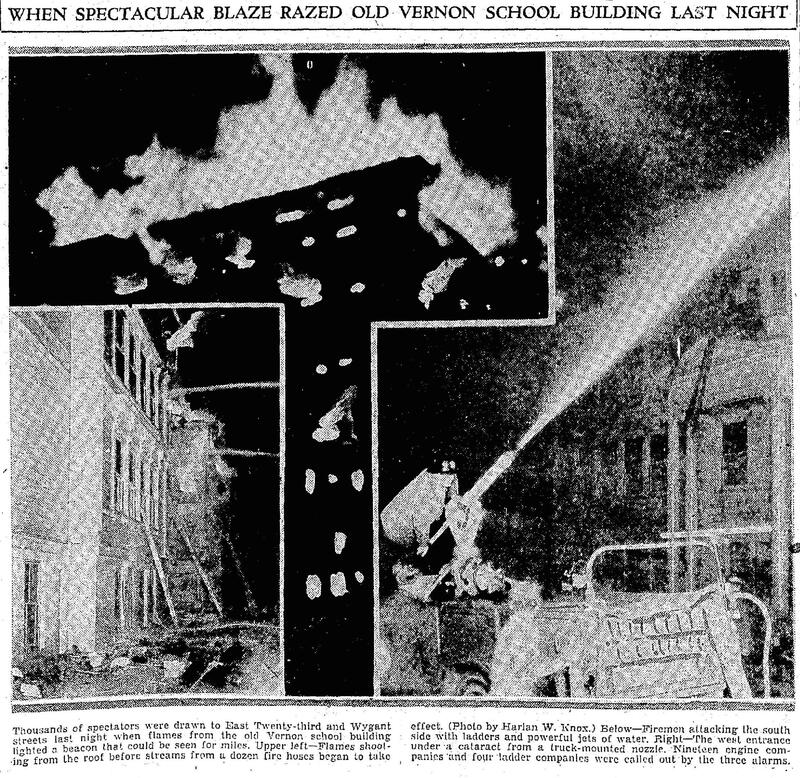 My family home was built on the Southeast corner of the Old Vernon School block circa 1945. 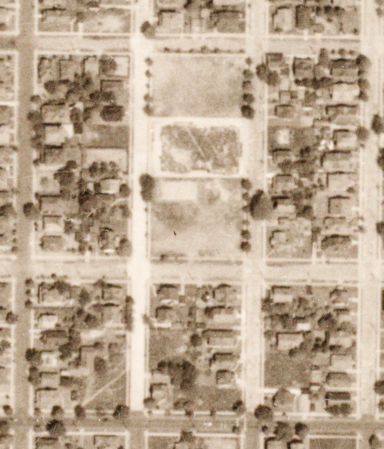 4611 NE 23rd and Going St. We lived there until 1970. We frequented the corner grocery (the little store) operated by Mr and Mrs Murray. Their living quarters were adjoined to the grocery store. 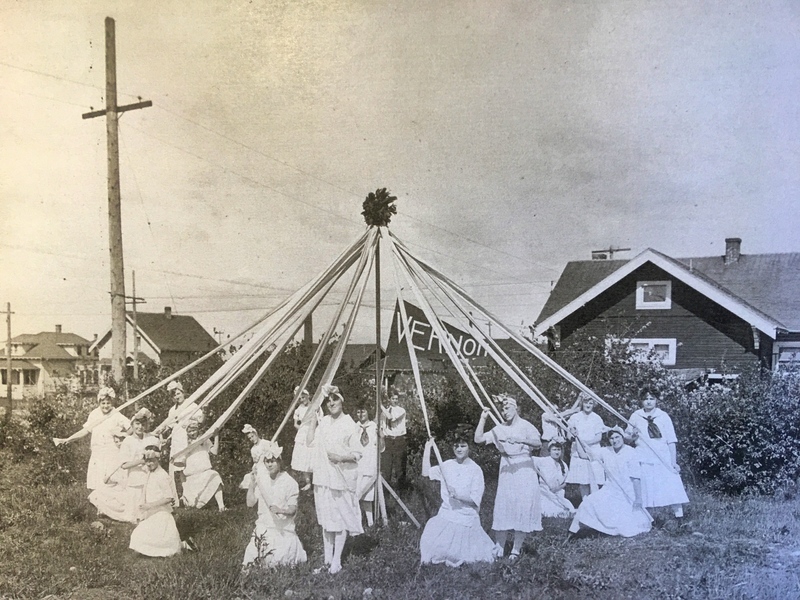 Many of us will be attending the 111th anniversary of Vernon School this Thursday. Thanks for the memories. 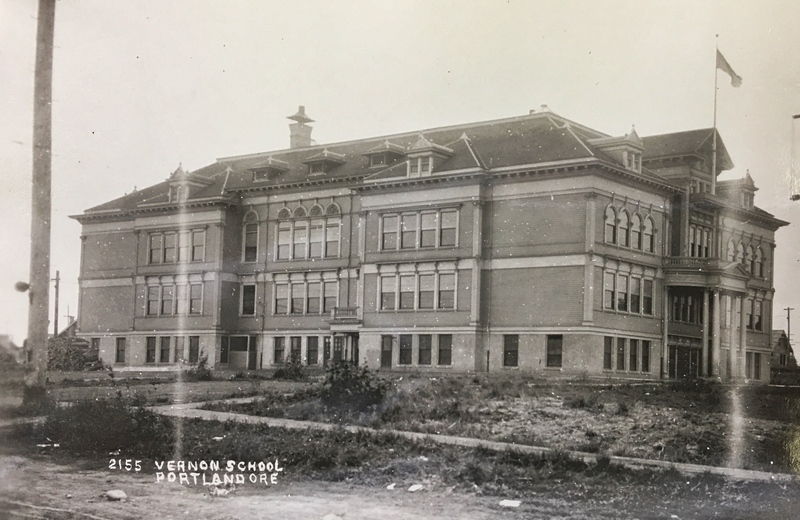 Excellent and in depth account of Old Vernon School – I never realized there was an Old Vernon School until I read this. 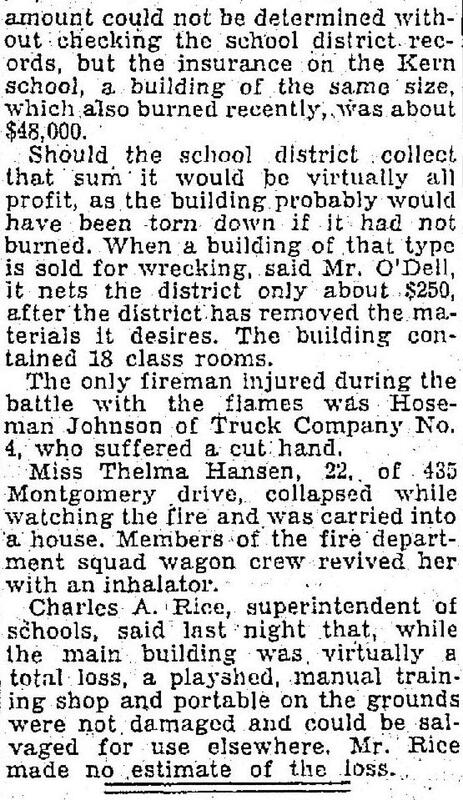 Although it is sad to know that old buildings are gone it is good to know that the city was concerned about these wood frame school buildings burning down. So they made the new ones of brick to be fireproof only to find now, years later that they are just as dangerous due to earthquakes. 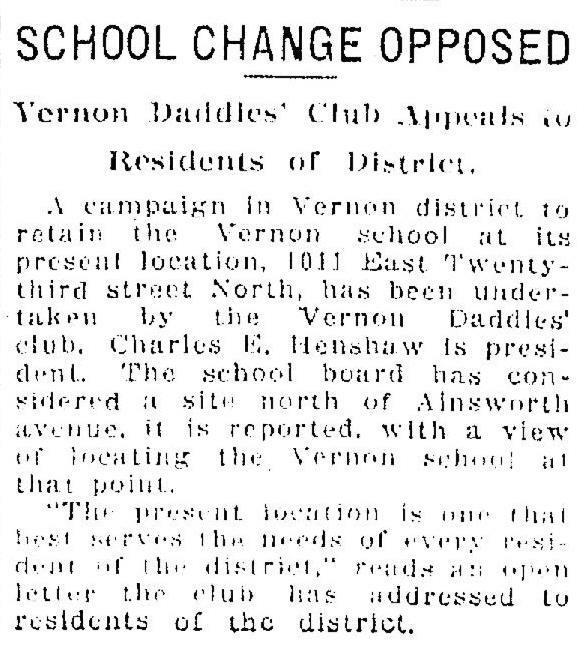 Old Vernon sounds like it was an amazing building. I guess we can appreciate when our old buildings are preserved and sometimes re-purposed by private companies. Hi Jeanie. Thanks for the note, I’m pleased you liked the Old Vernon story. 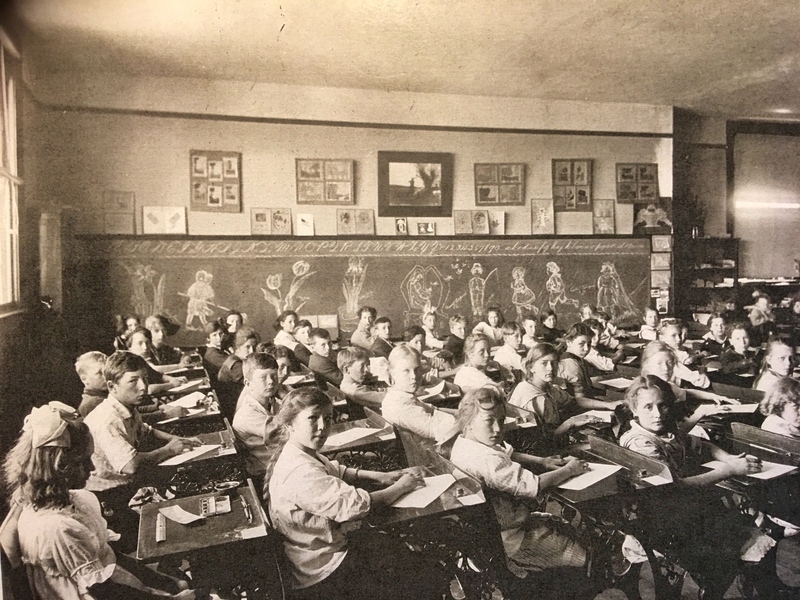 It was interesting to see just how focused both the school board and the city council were on upgrading schools: the topic brought them together for their first joint session back in the 19-teens. 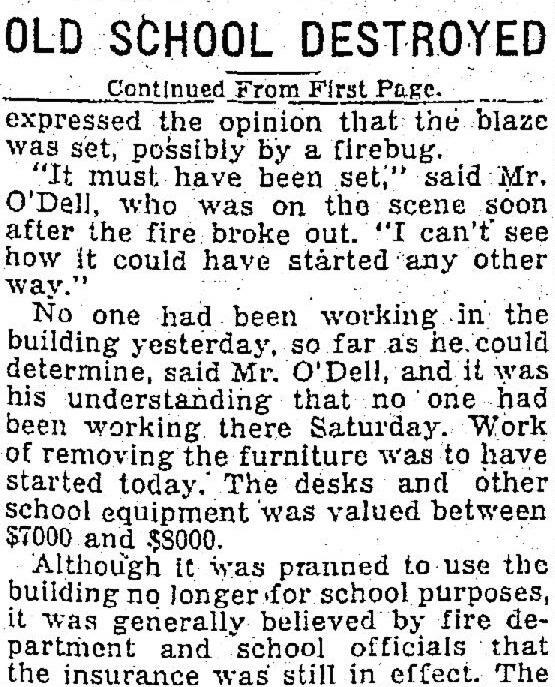 Schools designed after the building code change were definitely engineered with fire prevention in mind, but also to grow and change over time depending on demographics and changing instructional needs. Many of have heard the Country Gardens song, but I couldn’t put a tune to the name until I heard it and thought readers might appreciate that too. Thanks for visiting. PS – thanks for including the English Country Gardens youtube link!